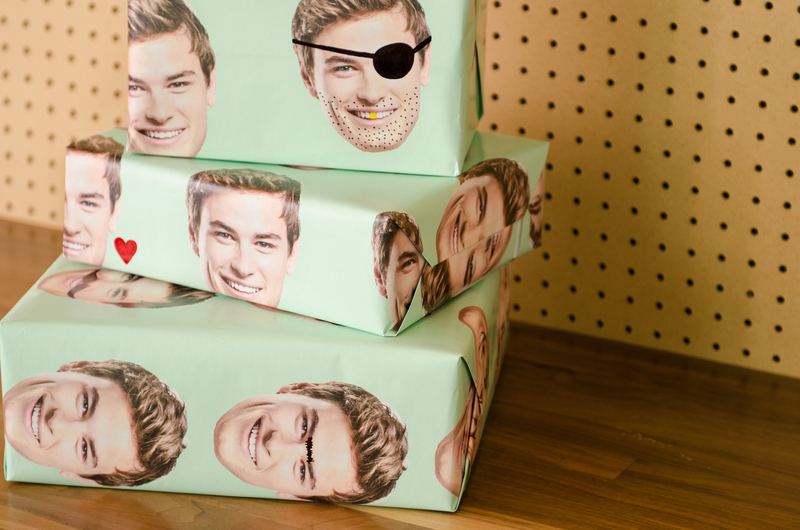 When Zazzle first launched custom wrapping paper I knew exactly what I was going to do with it – cover it with the faces of my friends and family. Not only did I find the idea hysterical, I also figured it would save me a lot of money on gift tags! 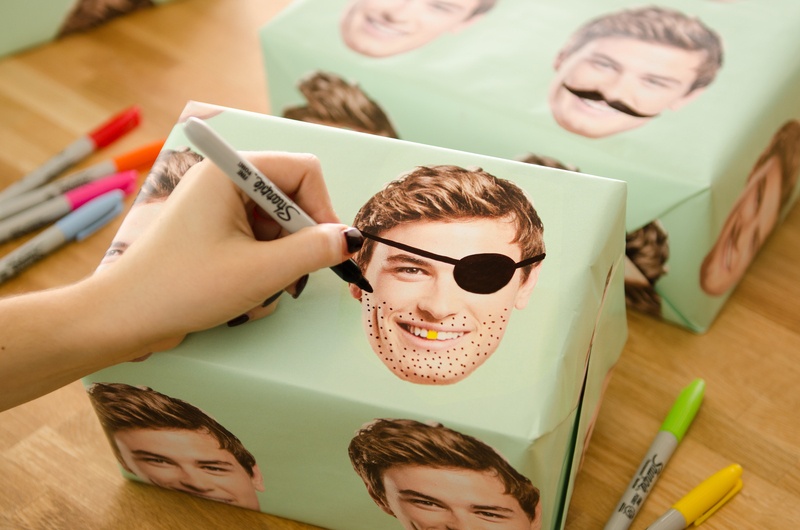 This super-simple DIY project is less of a craft project, more of a silly prank. Have fun. 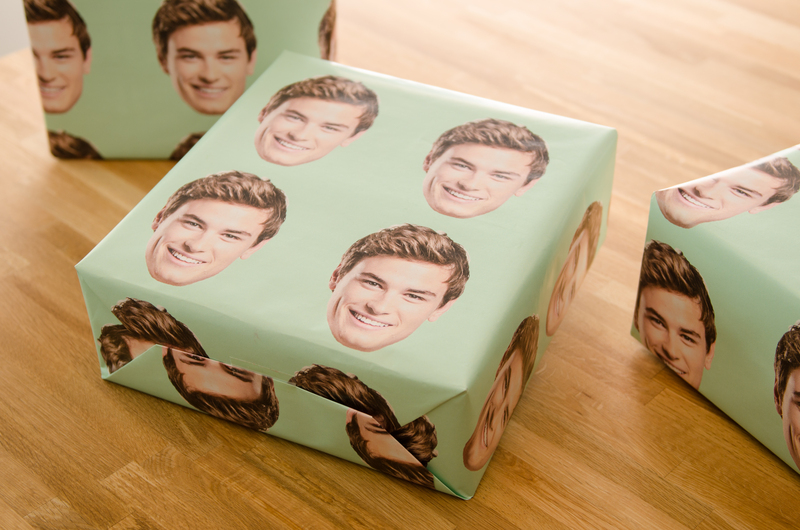 Step 1: Buy the recipient a sweet holiday gift. 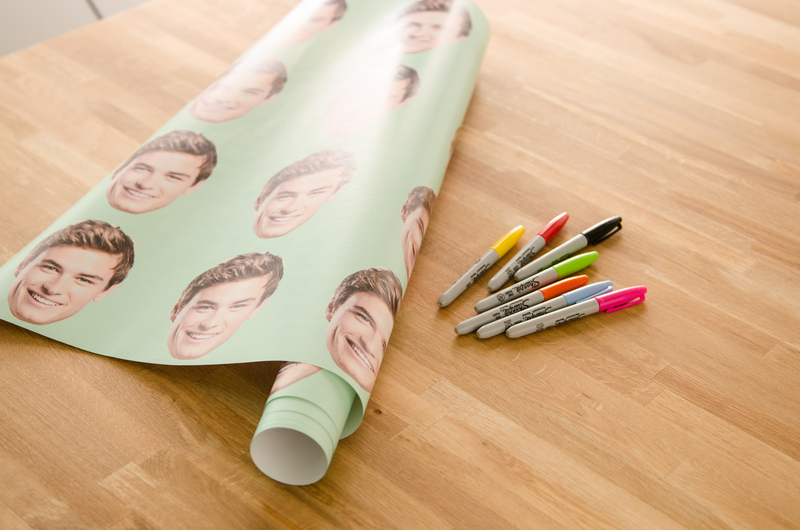 Wrap it! Consider the placement of the photos. The more facial surface area the better! Step 2: Draw! Glue! Go crazy on your friends and family! The more ridiculous the better. I started with a classic mustache. Then I thought, “You should be a pirate!” So I made him into a pirate. 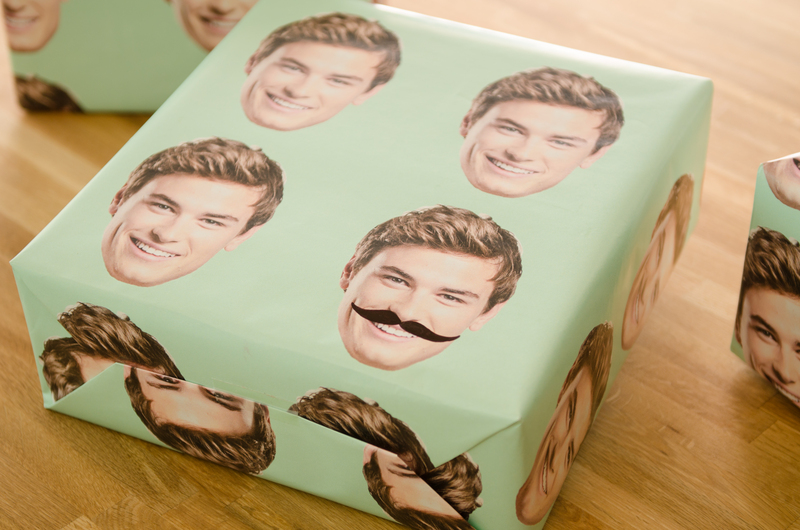 At the end of the project, you’ll be left with super awesomely wrapped gifts. The giftee won’t even care what’s in the box! 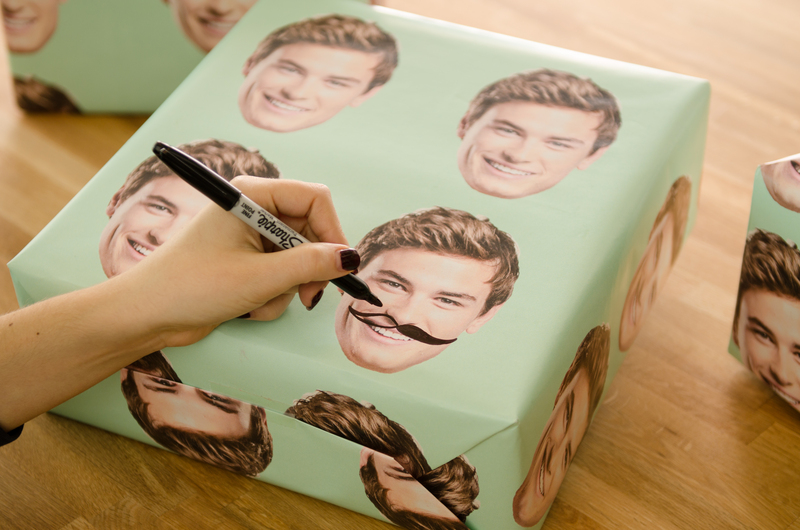 Show us how you’ve customized your gift wrap by including a link in the comments below! Jenny is the stylist for the Zazzle photo team. She enjoys baking, gardening, and hanging out with her cats – she’s ready for retirement!